I create delightful experiences for your users. Applications for web and mobile. Analytics data, user feedback, & conversations with Customer Support help us reach insights about users, their goals, & their frustrations. Structuring an application's content and navigation by grouping related feature sets makes an application more usable and intuitive. Draft content & layout without the “design layer” (color, styling, etc.). 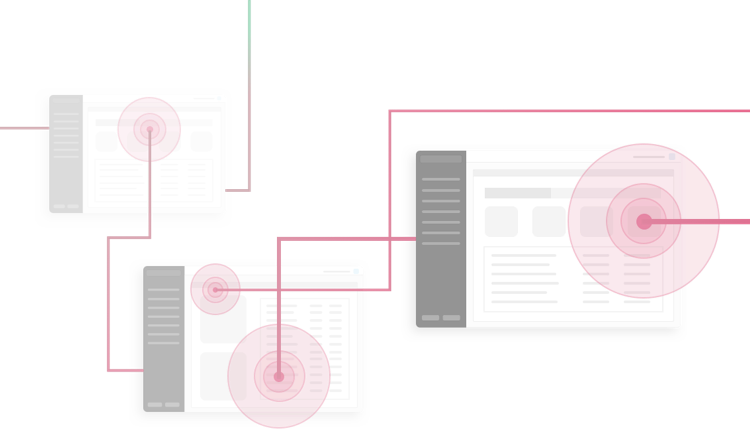 Higher-fidelity wireframes can also be prototyped and user tested for revisions. Incorporate design elements from the brand's style guide or design language in order to keep the brand image (and overall user experience) consistent. Make mockups into an interactive “pseudo-application”, including animations and other interative elements to guide developers as well as to test. Before implementation, formulate user tests. Create a list of “jobs to be done” and record their completion by 5-10 representative users. Gather feedback. Drop me a line at me@kaitlynbrown.net to talk business.